After the assault on Düren and the complete destruction of downtown Düren on 11/16/44, it was impossible for father and me to reach our offices and go about our business from 11/17/44 onward. Additionally, there is the massive artillery fire that is a constant now, the bombs dropped on Merode, and the ever approaching front-line. All that makes it impossible to leave the town at that point. We are forced to stay in the basement at all times. The basement in grandmother's had been converted into an air-raid shelter some time ago. Wooden planks stabilize the ceiling. Iron doors protect Windows and doorway. Any stay in the damaged house could lead to life-threatening situations. Since October 1944 many townspeople have already spent the nights in their basements. The cellar rooms of the castle, known for its solid build, are also frequented by civilians at night to get some sleep. The cellar rooms of the castle have been opened up for that purpose. Neighbors (Fußberger family) and relatives (aunt Luise, Uncle Johann, and Cousin Magda Lich) have come to stay with us. It is no longer possible to live a normal, civilized life. Since 11/16/44 there has been no electricity or water in the pipes. Food is still plentiful. Meat of pigs that have been illegally slaughtered, potatoes, bread, and many jars of preserves have been taken down to the basement. In the stables that are still partially existing, there are still cows that are being cared for and milked at the risk of one's life. Thus there is milk. Water is pumped form a well in the courtyard of the castle and it is rationed. Every one of us takes turns to fetch the water because there is always the danger of artillery fire or air raids. More than once we have had to take cover because of artillery fire while we were carrying buckets of water and when we arrived at home the buckets were empty. The constant movement of throwing one's body on the ground to evade the shells emptied the buckets out. Once things are quiet there is another attempt at getting the valuable commodity. On one of these walks to the well I observe how soldiers and civilians cut out chunks of meat from dead horses and cows. There are dead animals everywhere. For many a civilian and even some soldiers, food is getting scarce. Soldiers, mostly the wounded, or groups that bring the wounded to the make-shift military hospital in the basement of the castle, or groups that take the dead, wrapped in tent squares, to the courtyard of the castle, knock on doors wherever they expect to be find civilians. They beg for food and drink. Whoever knocks at our door gets plenty. Over and over again the soldiers tell us to hold out for a little way longer. All of them are convinced that the American will come any minute now and this would be our redemption. Since 11/19/44 we can clearly hear machine-gun fire. The front-line has to be close now. 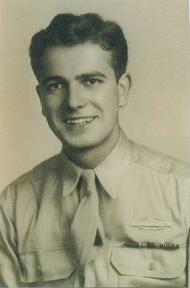 In the morning of 11/22/44, an overcast, rainy day, father decides it is time to leave Merode. He says: "It is pointless to stay, there is no end to this." In great hurry we pack a few small bags and a suitcase and tie them on the bicycles. We have to wait for a quiet moment and then we have to leave. At that time there is no direct artillery fire. We (father, mother, my sister Luise, and I) leave Merode. We push the bikes to the center of the town, always alertly watching the area and listening. The Mayor, Peter Hourtz and his family also leave town, on a horse-drawn carriage. He will try to get away on the roads that have been severely damaged by now. We put some of our luggage on the carriage and leave together. It is indeed not that easy to evade all the shell-holes with the carriage. Even with the bikes we have a hard time moving. We get to Birkersdorf, via Díhorn, Konzendorf, and Merken. They haven't shot at us. From a distance we hear the rumbling of guns. There aren't any civilians around, only a few soldiers on military vehicles. In Birkersdorf, close to the ramp to the sanitarium, we take our luggage off the carriage and leave the Hourtz's. We want to get to our flat in Joachimstraße 9. Life slowly normalizes amidst the rubble. We contact our relatives in Merode. They have returned very soon. They have taken up quarters in an old stable that has been mostly left undamaged. They have taken livestock, food, and seeds with them when they returned from evacuation. They help us with food as best they can. They also begin to work the land, as much as that is possible. Since it is late in the year not much can be done in terms of seeding and the gardens and fields are full of mines and shell-holes. A Hitler Youth camp had been set up in house Hardt near N rvenich. This camp was attacked on 09/18/44 by enemy planes. Six 15 and 16 year olds were killed in that raid, among them were friends of mine from Schlich and Merode. A shell explodes in the village between the houses of Hamacher and Bartz, several shells in the courtyard of the castle. Windows and walls damaged. Shells hit a meadow at the city limits near Ignatz Hourtzí. Windows and a small wooden shack are destroyed. Aunt Traudchen (Gertrude) was out there with her horse to work on the fields. The women had to work there along with the Polish forced laborers because all because all capable men have been called up for the Wehrmacht. The horse balked and bolted because of the  artillery fire. Aunt Traudchen was run over by a wheel of the carriage. She suffered inner bleedings that were so heavy that she died only little later. Direct artillery fire and bombs are dropped on Merode and the surrounding villages. Distastrous damage. Dead and wounded among the civilians. Severe damage also among the livestock. Hits in the village and the castle. Hits in the village. A plane crashes into the house Schiren. The debris of the house keeps burning for days. Hits in the courtyard of the castle. Trees and grandmother's house are damaged by shells. Three bombs dropped right at the castle. Basement, crowded with soldiers and civilians, holds! Damage: Parts of the castle completely destroyed, including the chapel. The dead of 11/16/44 who had been bier up in there are completely buried under the rubble. Hits in the village, houses destroyed. First time that artillery keeps pounding us for a long time. Hits in the village. Uncle Willi from Dusseldorf wrote us 1 January 1945 that grandmother, 86 years old, left Merode together with Aunt Maria, the relatives, and the neighbors (Fubßerger family) on 12/1/44 on a horse-drawn wagon. They found shelter in Uckerath/Sieg. In letters addressed to the parents in sibling in Bösinghoven Near Neuß, Aunt Maria tells the story of the horrible events in Merode until 12/1/44. In 1947 a typhus epidemic erupts in the Düren lands. Among others aunt Luise is stricken by it. She dies of that disease in the Duren hospital on 10/7/47.